Njombe Town, Tanzania—Sarafina Haule had just turned 20 when a short-lived “fling” with a traveling tree cutter left her pregnant and without support. The affair also left her with HIV. Upon learning about the pregnancy, Haule’s steady boyfriend broke up with her, and her brother—with whom she had been living since her parents passed away—kicked her out of his home. So, Haule moved in with her sister, a struggling single mother. For the next five months, Haule struggled to make ends meet. Often, she and her sister and her sister’s baby were entirely dependent on a small stipend from the baby’s father. “I was heartbroken, angry and frustrated. I wasn’t educated about HIV or family planning—I could have protected myself,” Haule recalls. She delayed seeking prenatal care, feeling that she wouldn’t be welcome without a husband to accompany her. One evening, when Haule and her sister were running errands, they came across a reproductive health outreach event supported by the Sauti Project, a combination HIV prevention and family planning program funded by the US President’s Emergency Plan for AIDS Relief through the US Agency for International Development. Jhpiego leads the project in collaboration with Tanzanian Ministry of Health, Community Development, Gender, Elderly and Children. EngenderHealth, Pact and the National Institute for Medical Research-Mwanza partner with Jhpiego in this effort. Sauti outreach events offer free and friendly services that feature information and education, counseling and testing, and family planning. They also link women like Haule to HIV treatment and care. At the events, women participate in discussions about stigma, discrimination and gender issues. They also meet other Tanzanians who are living with HIV and are engaged in treatment and support groups. Sauti also supports Alcoholics Anonymous groups, savings and loan clubs, and parenting education for new moms. During her visit, Haule received HIV testing and learned of her HIV status. She and her counselor, Edith Msagati, talked through her HIV diagnosis, and Msagati helped Haule understand that a positive HIV diagnosis was not a death sentence. With proper health care services, her HIV would be manageable and her pregnancy would be too. The next day, Haule was referred to a nearby health facility. She was accompanied on her visit by a Sauti case manager. At the health facility, she was initiated on antiretroviral therapy to improve her health and reduce the chance that she would transmit HIV to her baby or to future sexual partners. Her Sauti guide and advocate helped her enroll in antenatal care and psychological support services. Months later, Haule delivered a beautiful baby girl, Jorin Joseph Mabena. 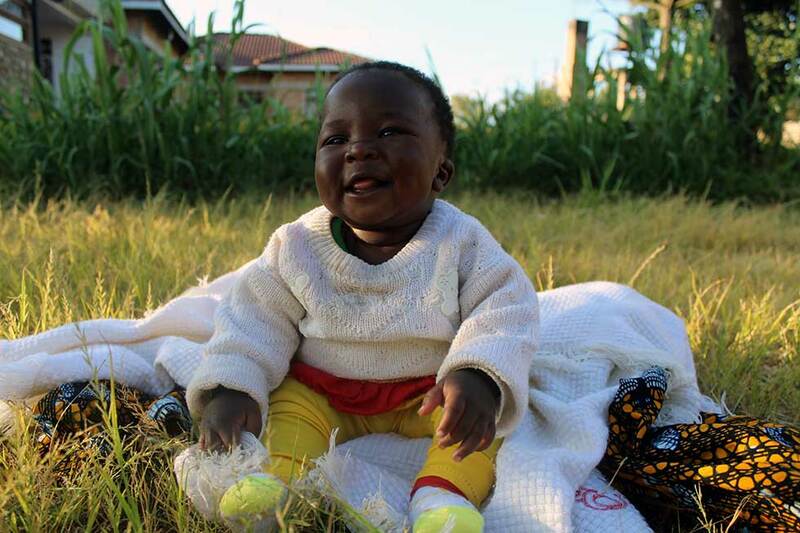 Jorin was born without HIV and when tested again at her 6-month checkup, she was still HIV-free. Today, Haule is adhering to her antiretroviral treatment for HIV, and she has learned how to plan for her family and her future. Thanks to a timely, friendly and accessible intervention, mom and baby are thriving. Zacharia Mlacha is a communication and publications officer in Jhpiego’s Tanzania office.